UL Classified polyurethane foam sealants that meet ASTM E-84 Flame spread requirements. Gun Foams are applied with a professional dispensing unit. Wear protective glasses or goggles, nitrile gloves, and protective clothing. Use in a well-ventilated area. This product is for PROFESSIONAL USE ONLY. 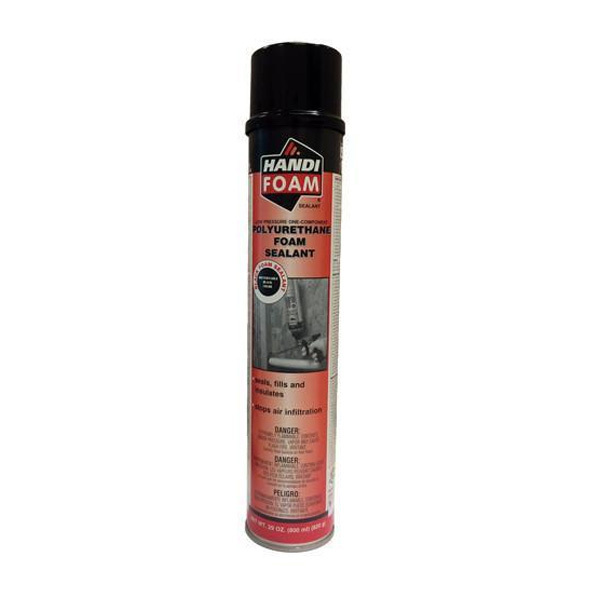 A two-part low-pressure spray polyurethane foam kit that is used to fill and insulate large voids or surfaces. Comes complete with gun, hoses and eight tips.The product is for PROFESSIONAL USE ONLY.Due to hazardous fees, this item may ship via semi.Click here for Handi-brand Product Stewardship guidelines for safe handling. (PDF)SDS PART A (PDF)SDS PART B (PDF)* This item requires special shipping, additional charges may apply. Dow Great Stuff Pro Gaps and CracksIn the United States, GREAT STUFF PRO™ Gaps & Cracks was the first foam to be recognized as a fireblock, which means it resists the free passage of flames to other areas of the building through concealed spaces. The foam is a bright orange color, easily identifiable by U.S. code officials.Considering the combined open space created by gaps, cracks and penetrations in the average home can total as much as a 4' x 4' window left wide open, it’s no wonder that air infiltration is one of the biggest threats to a home’s energy efficiency. And as uncontrolled air movement drives up energy bills, it may also increase the potential for mold, mildew and other moisture-related problems.Great on Benefits For a professional seal, rely on GREAT STUFF PRO™ Gaps & Cracks.